Automotive Warehouse is an award winning car dealership situated in Brookvale on Sydney’s North Shore and Northern Beaches. We consider ourselves to be a one stop shop for all your motoring needs. From purchasing a new car or a quality used car, to car finance, insurance and even car detailing, we have a product for you. Automotive Warehouse is Sydney’s leading used car dealer on the North Shore and we pride ourselves on quality, service and attention to detail. We hold a range of prestige, family, 4WD, SUV and price range used cars to suit all tastes and budgets. 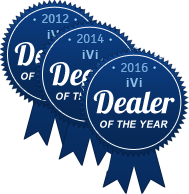 Each comes with a complimentary Vehicle History Check and where possible, a complimentary pre purchase inspection report from Independent Vehicle Inspections (IVI). Buy with the confidence of knowing that we do not sell cars that have been written off, been in major accidents, or that have a dubious past. Need car finance or insurance? Call us today for a competitive quote and let us do the running around to find you the best rate available. Buying a new car can be a time consuming and stressful process but with Automotive Warehouse, there is another way! We are a leading new car broker in Sydney and will save you time and money on your next new car purchase. For private purchasers, you will also enjoy the benefits of fleet pricing not normally available to the general public. Let us deal with the dealers so all you have to do is sit back and relax.